WHEN he was on a plane coming home from a business trip to Alaska a near 20-years ago, Sydney travel industry public relations man John Savage got chatting with the passenger next him, who it turned out was also in the travel game. And he mentioned to John how one of the banes of his business was finding good tour escorts for the small groups he took away to different parts of the world, particularly Europe where his company, Interlude Tours, had been a pioneer in getting away from ever-larger motor coaches in preference for mini-buses for just a handful of guests. His name was Wal Glading and he told John: "I just want a mature, well-travelled lady, someone with common sense, preferably a nursing background, and one who is prepared to spend time away from home." "That sounds like my wife," John said – and on arrival home told his wife Jeanette about the conversation. She too thought it sounded like her, and next thing she was with Wal and a small group on a culinary tour through Thailand. "It was wonderful. Europe was next; I began as a navigator and quickly understood why Wal appeared at first to be so pedantic, crossing all the 'T's' and dotting all the 'I's', having not only back-up plan B but back-up plan C, and triple-checking every detail before departure. It really was crucial to a successful, worry-free tour." After serving her "probation" under Wal's watchful eye, Jeanette moved on from navigator to driver, and to tour director taking her own groups away. And she came home from one tour some years later to have Wal tell her he was putting away his maps for semi-retirement in the NSW Southern Highlands. Was she interested in taking-over the company? "Was I ever!" says Jeanette. And all these years later Wal, too, still fondly recalls his first-ever tour. "It was 1974 and we took 41 members of the Australian Fiat Club to Europe for the princely sum of $1195 each – including air and 51 days travel. But our big Leyland Leopard coach soon made me realise such coaches really weren't suitable for the minor, narrow roads of Europe that offered some of the best and most spectacular scenery – so I started planning the concept of Interlude Tours small-coach travel," he says. "Soon we were operating 9-seater Peugeot Boxer buses that we'd take in convoy – usually three at a time – with Australian drivers. It meant we weren't restricted to boring motorways, but could travel anywhere a car could go, usually staying three nights at a time in small hotels and inns amid the most impressive scenery in Europe," Wal says. And despite all his mentoring, Jeanette soon discovered the unexpected could be lurking in wait anywhere. 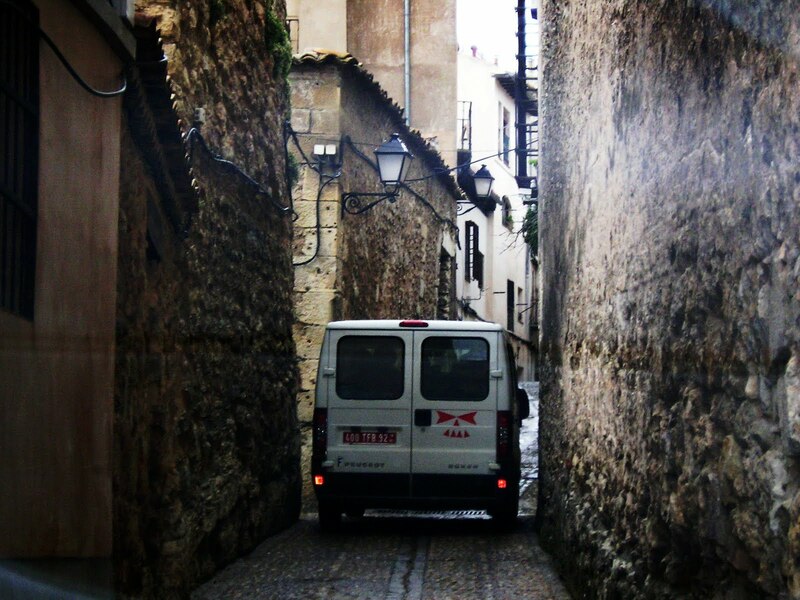 "On one tour from Casablanca we'd only got 120km in a brand-new mini-bus when it broke down," she recalls. 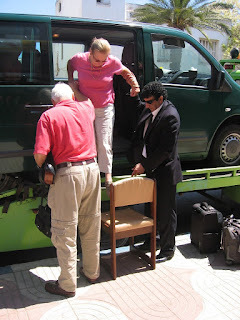 "The Moroccan driver/guide hitched a ride into town, came back with a flat-top truck that he loaded our mini-bus onto – with all of us inside – and to get us off and into another bus when we got into town, used an array of chairs from van to truck-top to road! "Another time one of our guests came storming back down to reception at the best hotel on Lake Como to complain about his small, dark room, and was still spluttering when his wife also turned up to say she'd just opened the curtains – and what a marvellous view of the Lake they had from their private balcony. Her husband slunk off red-faced!" 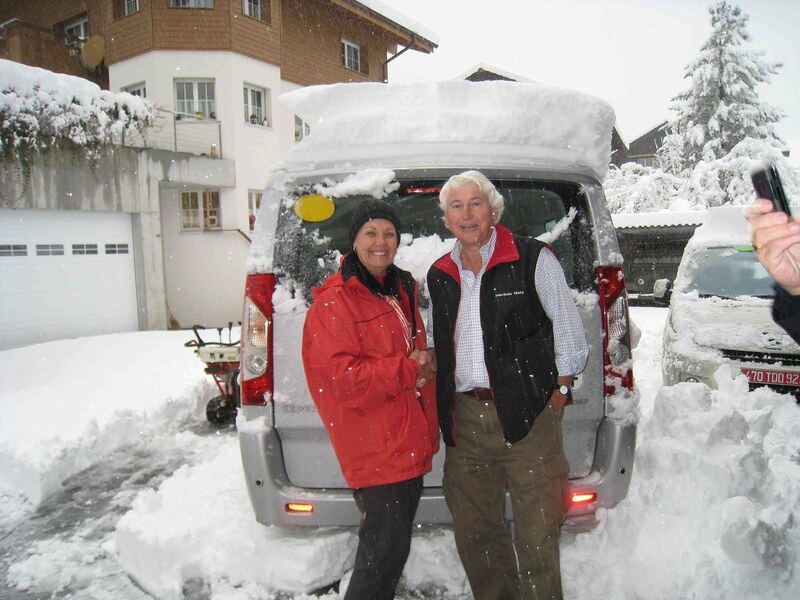 And at little Intragna in Switzerland an Interlude Tours group arrived at their hotel to find a wedding in full swing – with all Jeanette's Australians invited to join in the celebrations. "We danced and sang with them well into the night," Jeanette recalls. "The bride and groom wrote later, thanking us for making their wedding so joyous." Conversely another of Jeanette's travellers when she asked what he thought of Rome, replied dully: "Just like Melbourne, really." And now like Wal, Jeanette too is putting the maps away, with her last Interlude tour being 36 days to France, Spain, Italy and Switzerland in September/October this year. Check the itinerary on www.interlude-tours.com – who knows, you may even come home wanting to buy the company. 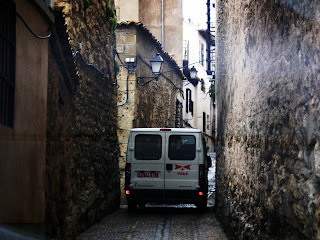 TIGHT fit: an Interlude Tours van off the beaten track in Cuenca in Spain. NOT quite to plan: when their brand-new van broke down in Casablanca, the driver put them aboard a truck – and got them off by this novel staircase. IT ain't half cold, Mum – snowed-in in Lauterbrunnen, Switzerland: Jeanette and John Savage. 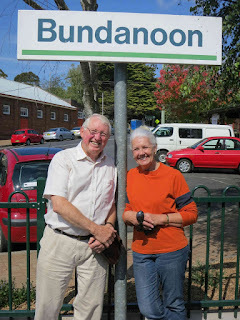 WE'VE been everywhere – but there's no place like home; Wal and Jeanette on Bundanoon railway station.